Coat fits most children 3-6 yrs. 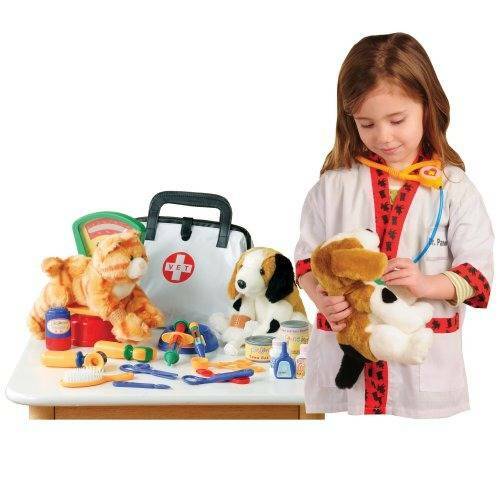 A pretend play set that includes a stethoscope, reflex hammer, 10" H. pet scale and 2 fuzzy patients (8" plush dog and cat). The machine washable jacket fits most children ages 3 yrs - 6 years.